Whoever thought it was a good idea to have the tv on a bracket in the middle of the wall needs shooting! The positioning of the tv meant I clouted my head and I understand the meaning of the term ‘seeing stars’! Why not position it in the corner of the room or high up? I am 5’2 so hardly tall! Other people at breakfast had done the same thing! No English speaking channel anyway! Other than that cheap and cheerful. We walked to nearby Buffalo Grill for food. During the renovation, the supports were laid like this. For the English-speaking channels I will go back the information. 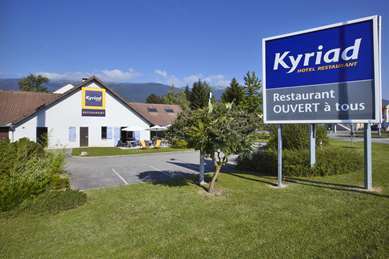 We stayed here on our way to Geneva. The rooms are narrow and the bathroom even more (if you have more pounds you better look for another place). Everyone was clean and tidy. Breakfast is short, but it's worth it. We thank you a lot for your review. It is important for us to know that you have a nice breakfast and a room which was comfortable, cleaned and tidy. 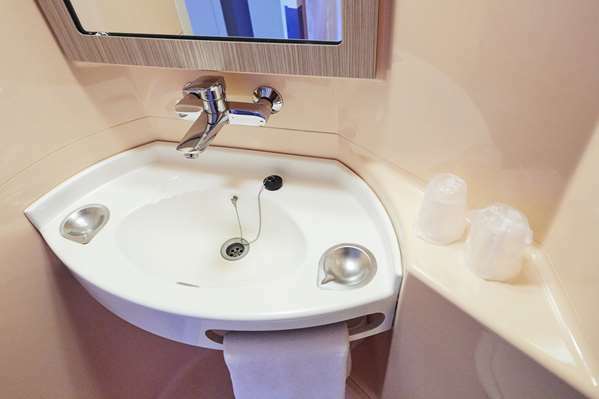 We are economic hotel, so that our rooms are small, and shower cabin too. For the next time you can choose in our brand: Campanile or Kyriad hotels which are 3 stars hotel and can be hotel with rooms that are big enough for you to feel good. Hoping you enjoyed your trip in Geneva, which is closed to us because the border is 5 minutes far from us. We wish you happy merry christmas. 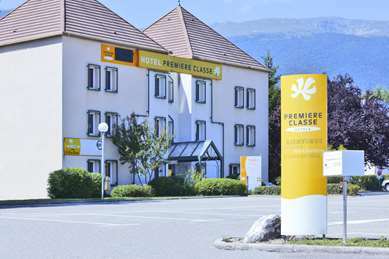 We stayed here as a one night stopover on our way to Geneva. We booked a quad room and arrived at around 8pm. The gentleman who checked us in was so helpful. It was too late to find milk locally for our little girl, so he took some for her from his own fridge, as well as letting us have some ice cubes. He kept our chilled food in his fridge overnight too. 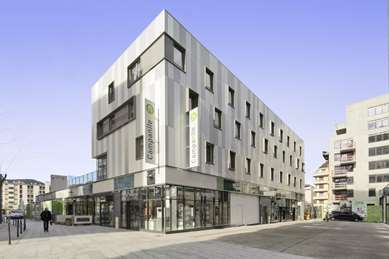 The room was really cheap for the proximity to Geneva, but it was absolutely fine for a stopover. Beds were actually really comfortable! Showers hot and good power. Clean sheets and functional. A few marks to the room but we really can’t complain for the price! The car park is safe and secure. We had bikes on our car and I was nervous about leaving them. They were kept safe and the car park is locked to non residents overnight. We were also given a room with a view of the car to keep an eye on them. We thank you for taking the time to give your opinion on your stay in our establishment. We are pleased that you have appreciated the attentions that Damien our receptionist has done for you. Indeed, the well-being of our customers is one of our priorities. 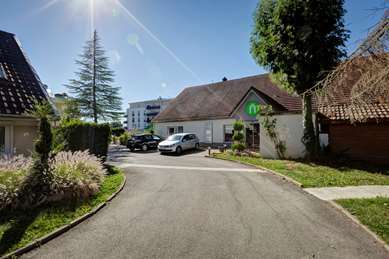 Your comment reflects our hotel with excellent value for money given its ideal location for visiting Geneva or the region and a very good comfort for a budget hotel. 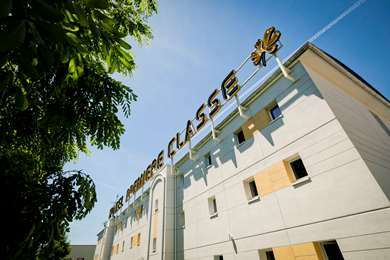 Hoping to see you soon in our Première Classe hotels. If there was an option to rate negative, I would have done that. 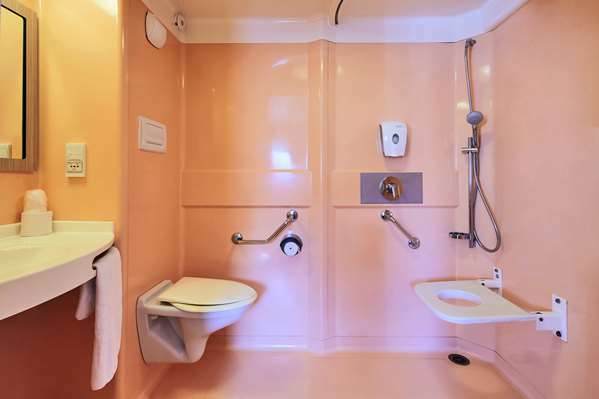 Possibly the washroom was modelled on cargo ship worker's washroom. If your waist size is more than 36 inches then you would not be able to take the shower (photo attached). The whole washroom is 3 feet long and 2 feet wide. Every time you would cross to other side of bed, you would be hitting the TV. Nous avons pris connaissance de votre avis et nous vous en remercions car l’avis de nos clients est une source d’amélioration constante. Nous sommes désolés que la salle d’eau privative ne corresponde pas à vos attentes. 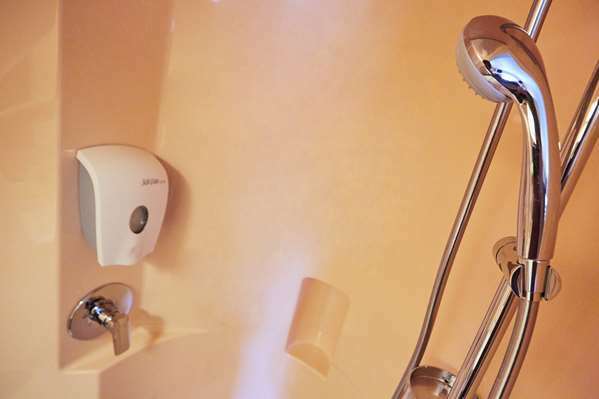 En effet, étant un hôtel économique avec un excellent rapport qualité prix, toutes nos chambres inclus une salle de bain individuelle pour un meilleur confort. Nous vous présentons nos excuses concernant l’emplacement de la télévision et ne manquerons pas d’en avertir notre hiérarchie. You hope to see you again soon !